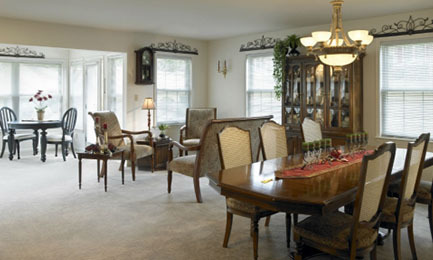 Comfort and charm, style and spaciousness convey gracious living. Designed for convenient first floor living, this choice offers features you can tailor to your personal taste. 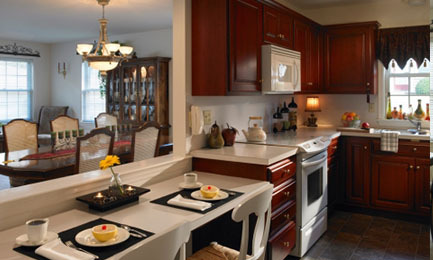 Generous room sizes, customized cabinetry and modern appliances coexist gracefully to take the ordinary out of the cottage kitchen, laundry and bath areas. A one-car garage and spacious sunroom are just two of the variety of additional features available to customize your residence exactly to your liking. Modern floor plans offer generous living space from 1,088 square feet to 1,318 square feet. Walk the open spaces and enjoy the magnificent country side of this idyllic setting.